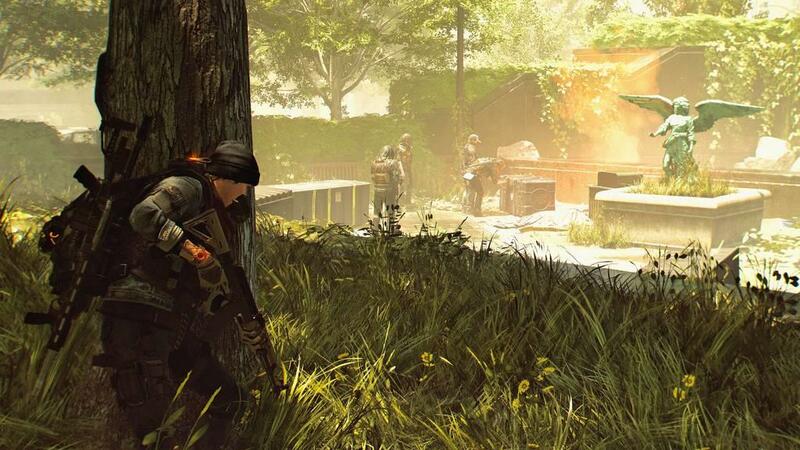 What is it about looter shooters that make them such a difficult thing to launch? While this current crop of games in this current console generation have seen more disastrous starts than successes with Destiny, the first Division game, Destiny 2, and Anthem all launching with significant issues; this problem goes back even farther than that. Diablo III's launch, for example, was sub-optimal. Overloaded servers spawned an Error 37 meme, 18 patches in its first 3 months, and an impossible loot cycle where you couldn't take on the top challenges without the top gear which was first only a reward for the top challenges. You'd think after all these failures developers and publishers would have learned from others' and their own mistakes, but Destiny 2 certainly proved that's not always the case. 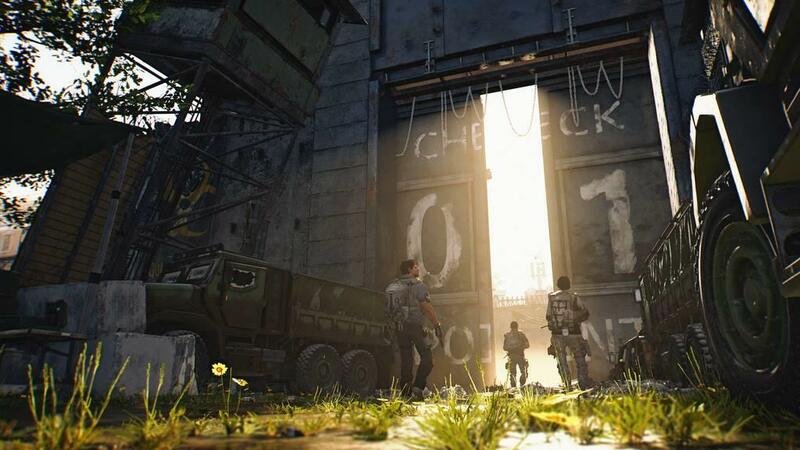 So here we sit with Tom Clancy's The Division 2, a sequel to a game that had shipped with grievous flaws of its own that took two years to change and correct course. A shift that took so long by then the player base was mostly gone. But a shift never the less that grew out of a result of the developers actually acknowledging problems and listing to community feedback to address it. That is the foundation on which The Division 2 lunches and it is evident from the very first mission. 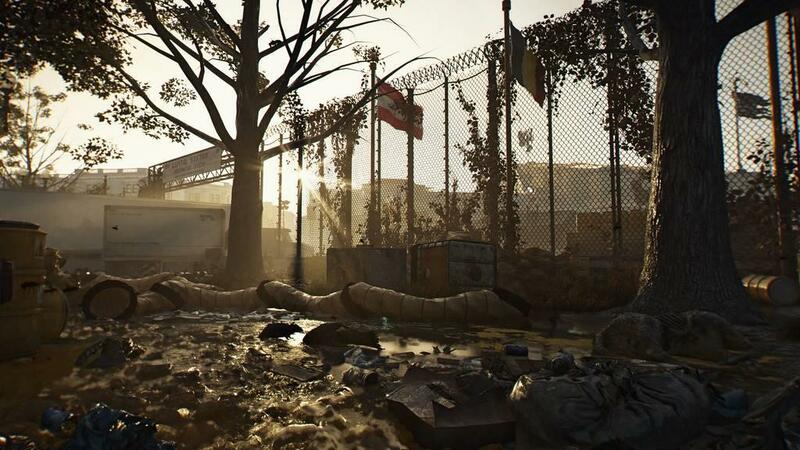 The Division 2 is not trying to reinvent the experience, just take the next logical step and improve what had been ironed out over the previous years' work. And take that next step into an entirely new locale. First off, post bio-attack Washington D.C. is stunning. I love New York City, the site for the original. It is a place completely unique unto it's own, but this rendition of DC with it's central landmarks and themes manages to stand up to the Big Apple. It is so carefully and lovingly crafted. Each street and interior space feels unique and the detail in every corner immersive. Stories are told through that detail alone. The place is dangerous and alive. Hostile territory is full of agents running an economy. 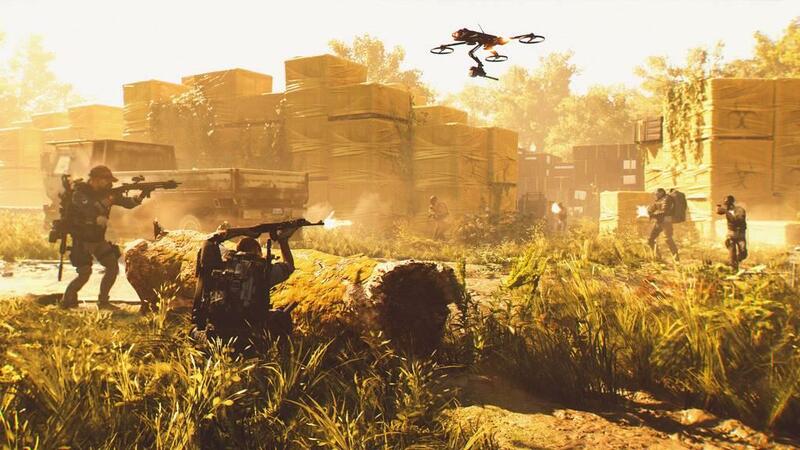 Enemy supply runs and public executions and other open world events provide opportunities for action as well as flesh out a running story of how this brave new world runs. 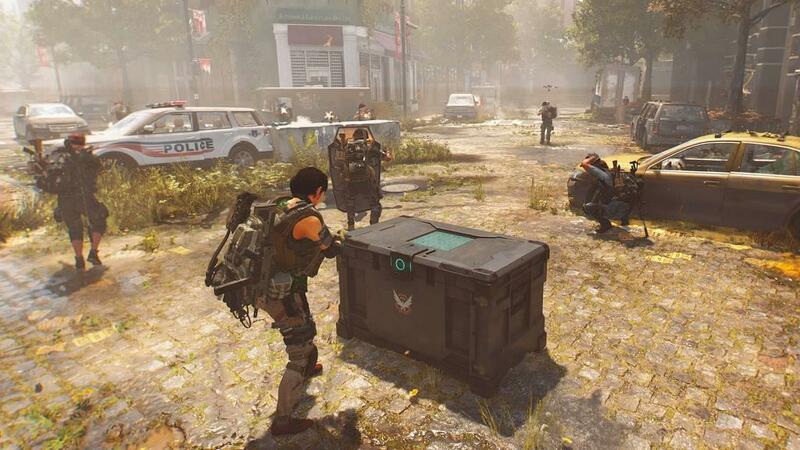 Friendly territory hosts the opposite: supply gathering from aligned factions and more backup on hand when you run into a group of adversaries that have strayed out of their bounds. While the weather effects come in sparingly, it's at just the right clip and are so visceral you want to actually just take cover from the downpour and let it pass. The world leaves an impact. The enemies a little less so. You get used to factions soon enough that you stop really paying attention to them. 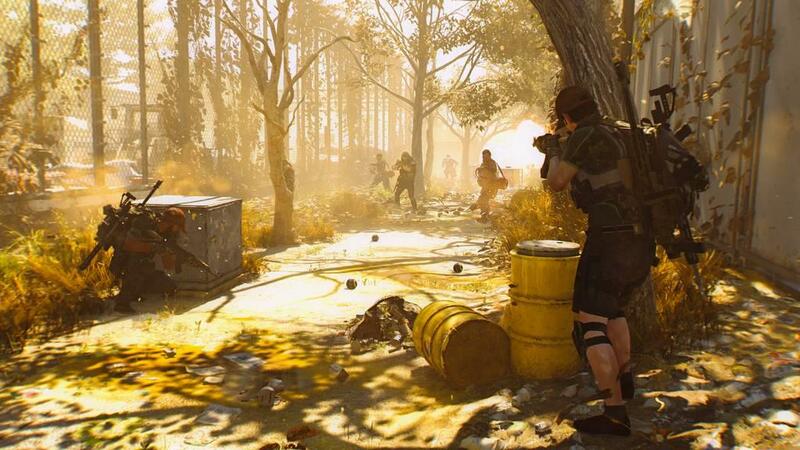 One group are the ones with the flamethrowers and moltovs, the other have the grenades and foam guns, but whatever. Their backstories don't really come through and there aren't giant differences in the strategies for taking them on. 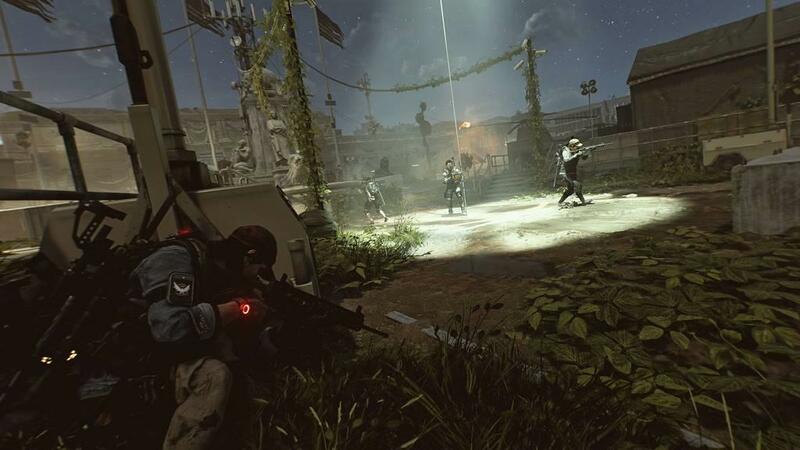 There are three in the initial game world, and then once you hit level 30 and complete the main story line comes the invasion of the private military group, the Black Tusk. They deploy prober combat robots and make better use of drones so they do stand out, but the rest of the opposition is really just cannon fodder. But that's really more of a missed opportunity than a dealbreaker. Because even though the game will not invoke an emotional investment, it still retains the feedback loop of pushing forward to drop better loot, then equipping that loot to push forward some more into even better loot. Wash, rinse, repeat. Along the way are some small annoyances, like rarely but occasionally the enemies spawns seem to get stuck and instead of meting out a steady stream of enemies, suddenly dropping a horde of them on my head when the game finally caught up to my map location. Gameplay can even get a bit repetitive, the weapons too. There is a variety for sure between each type. Another step up from the first game. Assault rifles, submachine guns, shotguns, etc. all have a different feel for them. All operate at different ranges and in shine in their optimum situations. But then within those genres it felt somewhat less varied. A few stick out as meta in the archetype, and on the whole it is a big step up from the first game, but I found I settled into a preferred loadout fairly quickly and rarely even wanted to try other options. And as for that gameplay, I don't really blame the Division here, it's more an Achilles heel of the very concept fo a cover based shooter. Cover mechanics simply get repetitive over time. They prohibit hero play by nature and every title from Gears of War to SpecOps: The Line have suffered from it. Some do better by introducing outside mechanics: Max Payne with bullet time or the Unchartered series offering some melee based mix ups. But on the whole cover based shooters tend to drag out encounters into very similar executions and outcomes that border on the banal. Still I found those annoyances minor, and easily countered by some very clever pleasures. Every mission or quest clearly displays its rewards before even taking the task on. The loot drop for every major target and goal completion is right there in the mission description. Bravo! Bosses have taken. big step up form the previous game in that rather than bing a straight bullet sponge they now support multiple armor pieces. Hone in on a given spot and break the armor there to get at the soft underbelly beneath. The map, projects, and questlines are also super accessible even right from the main menu. Needing to fetch items for a project, no need to return to the map point to turn them in, it can be done right from the project menu. 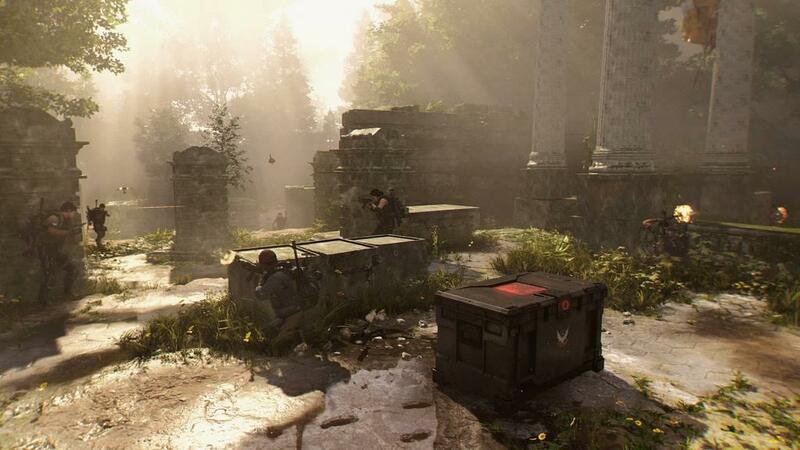 The map is detailed, pathing is clearly revealed to get to points of interest, and it's easy to pick out what you might want to tackle next and fast travel to get there and do it. There is much more to enjoy than to get annoyed with on the path to the end game, and there you are treated to practically a whole new game. 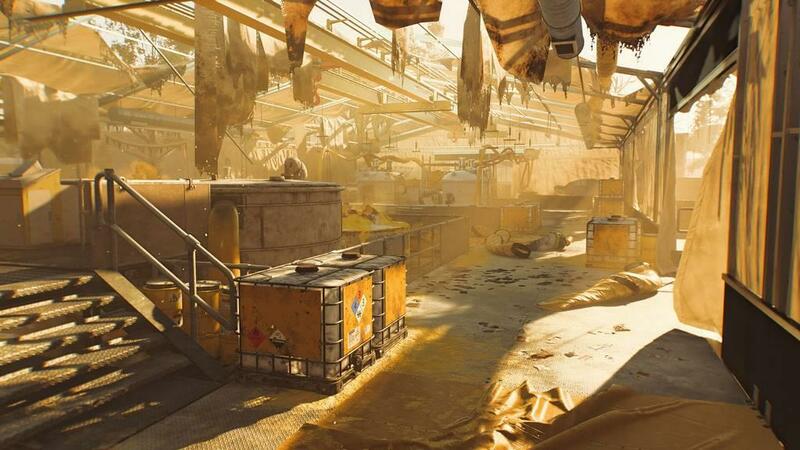 A new faction dominates the map, a new skill tree is introduced to level up a character with additional perks, new Specialized weapons are unlocked but you're not locked into any of these choices. You can switch specializations and skill trees whenever you want. Is your crossbow assassin not cutting it for a certain task and you need to beef up and head back in with a grenade launching tank. Just head back to the White House to re-spec right quick. And the gameplay is more than just a loot grind. 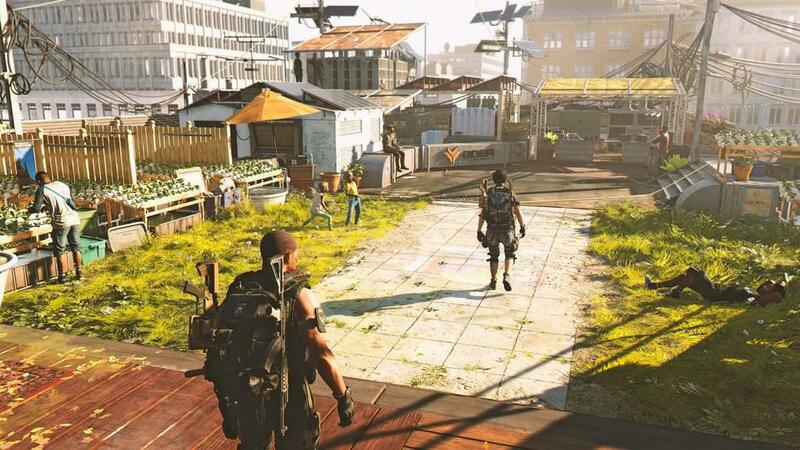 There are missions to re-complete, World Tiers to unlock for even better gear levels, and it's all done in that living city that has come even more to life with yet another faction crowding the space. So much to enjoy, but in the end the one aspect that kept me from fully realizing it was simply personal. Being a Division agent, well it's just not my fantasy. 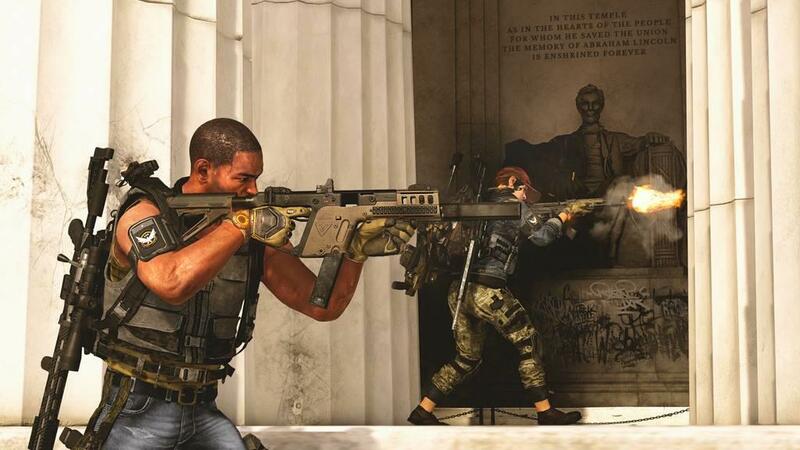 The Division 2 gives you every opportunity to fully realize your inner GI Joe. But that's just not the hero this reviewer wanted to be. I want the Iron Man promised (but not delivered) by Anthem. I want the space wizard promised (but not delivered, initially at least) by Destiny. I don't know, maybe if you threw some zombies in there, I'd be more on board. 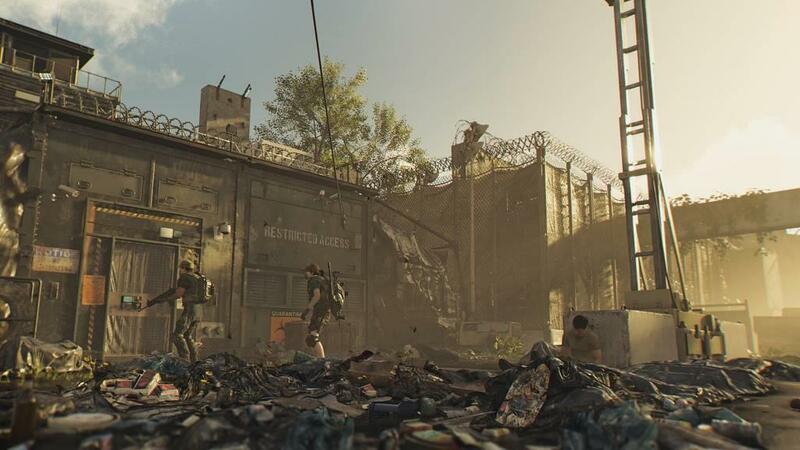 But this isn't a game for Zombies, it's one grounded in gritty realism. And while it does gritty realism very well, I'm more into space operas. This isn't a criticism of the game, not something I would lower a review score for. It executes its vision as well as a game can, it's just that any one vision isn't for all players. 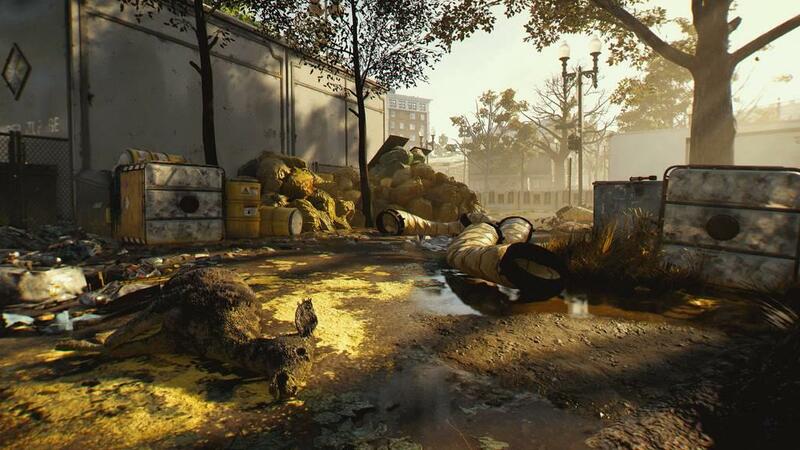 Tom Clancy's The Division is what you get when a development team listens and responds to the constructive criticisms of a fanbase that saw what the first could be but wasn't realized. This is the next step from that 1.8 release that finally fixed the original with better boss battles, better weapons, a better gear system, and better endgame. It might have been a miss with the story, but everything else was a step in the right direction from the shortcomings of the initial effort. 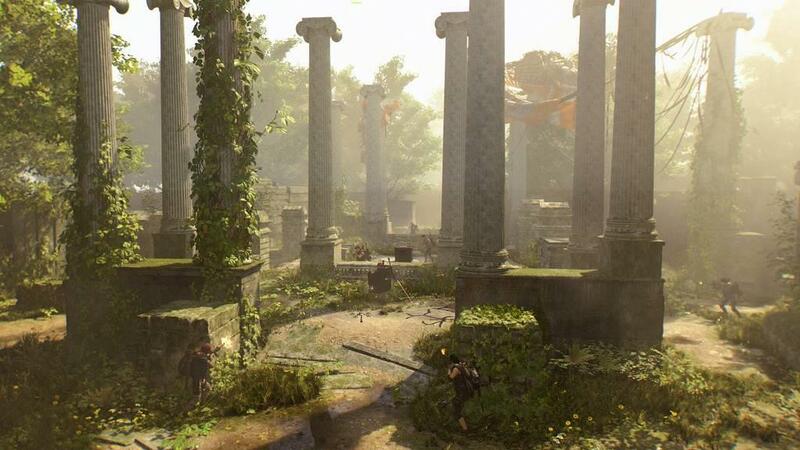 And it is a game that promises to be supported for significant time with free DLC mapped out and incoming for the next year. 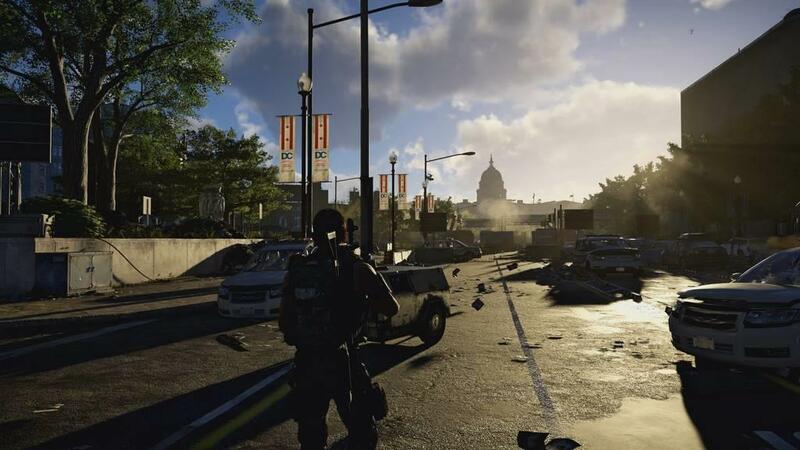 The Division 2 takes a step forward on the original in just about every area. 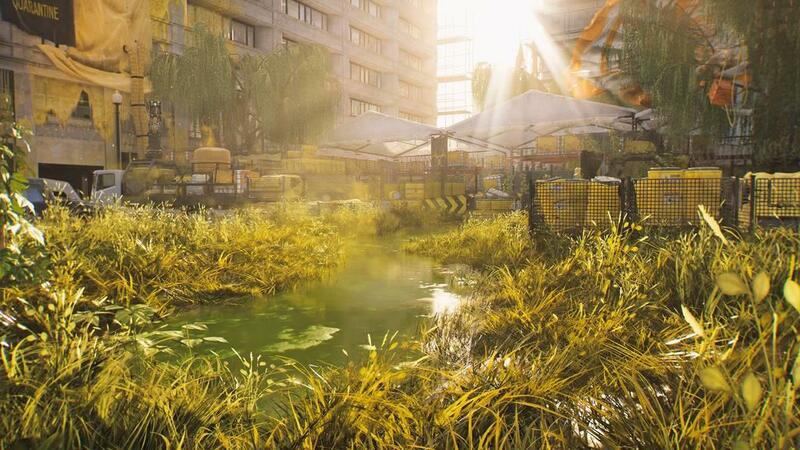 In a world where so many titles in the genre stumble out fo the gate to fall flat on their face, this is a sequel where the developers really listened to the shortcomings of the first effort and came up with real solutions to overcome them. It's not the fantasy I wanted, but it's a game that really delivers the vision it has. And by every measure looks to have a roadmap to keep it well supported and reasons to keep grinding for the next year to come. It might suffer from a lack of a cohesive narrative, but it offers a vibrant open world with so much going on you can write your own stories on its canvas. * The product in this article was sent to us by the developer/company. First picked up a game controller when my mother bought an Atari 2600 for my brother and I one fateful Christmas.